Son Parc car hire on the north coast of Menorca in the district of Es Mercadal offers you the best prices with the quality and service of Ownerscars, the leading car hire company in Son Parc. You’ll find us inside the Sun Parc Hotel, offering you the island’s biggest fleet of hire cars, regularly updated and including all-risk insurance, 24-hour roadside assistance, unlimited kilometrage, free second driver, and VAT. 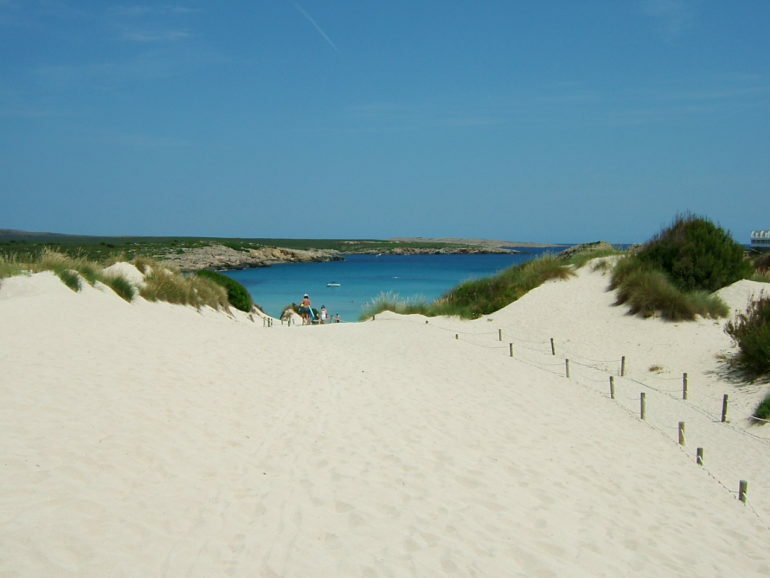 Arenal de Son Saura, better known as Son Parc, is one of the few beaches in the area with fine white sand with a small fringe of dunes and dense pine wood completing the setting. This development has the only golf course in Menorca, a fun option for all the family. There’s no extra charge for cancellation or changes. Just pay the total hire fee when you pick up your hire car in Son Parc. Make your reservation today on our web site and take advantage of the cheapest prices with all the guarantees of Ownerscars.